NORDE FSR – HerdmanTech Ltd.
NORDE FSR is a fuel treatment designed to improve fuel and engine efficiency, reduce emissions and extend performance between maintenance. These results are achieved by NORDE FSR’s ability to simultaneously clean, lubricate and condition the fuel and fuel system. Once NORDE FSR begins to circulate through your fuel system the benefits can be observed almost immediately. NORDE FSR is an EPA Registered Fuel Additive. Ultimately, what this means is your engine and each part of it can work efficiently and as intended because FSR creates a more reliable and stable fuel. With parts operating at intended parameters using a more stable fuel, the combustion process is more “complete”. This revolutionary applied micro-technology is EPA registered and improves fuel efficiency. NORDE® FSR is especially attractive for use in geographic areas where the surrounding environment is particularly fragile and cleaner emissions is of significant importance. NORDE®FSR will easily compliment any fuel system to achieve like-new levels of efficiency, cleanliness and reliability. It’s ideal for energy management. For gasoline engines and diesel fuel engines, NORDE® FSR has been rigorously tested at opposing temperatures from -50ºC to extreme hot temperatures and has shown to remain unchanged and continuously effective. 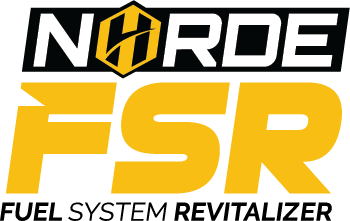 NORDE® FSR is shown to make drastic improvements where normal maintenance or replacement would be required. Under previous tests NORDE® FSR has been shown to revive an engine that has failed to meet specifications for safe operations. HerdmanTech has a reputation of raising the level of quality in gear oil through an ongoing commitment to research and innovation with proven results. © Copyright 2012 - HerdmanTech Ltd.